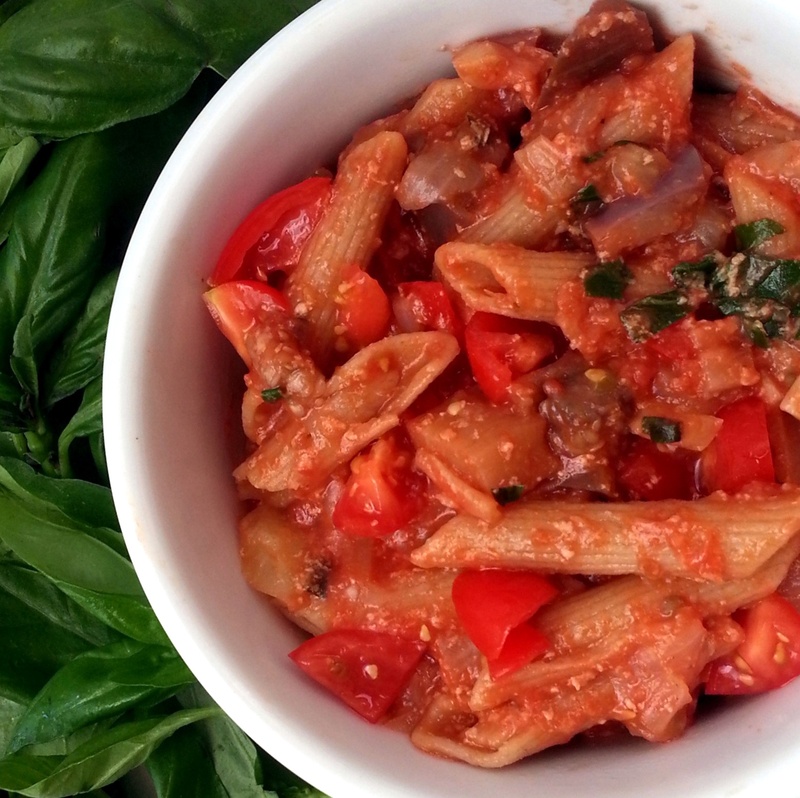 This recipe includes several solanaceous vegetables that are just coming into season where I live: eggplant, sweet pepper, and tomatoes. My beloved fennel also plays a starring role, along with fresh basil and onions. And it took me under 30 minutes to prepare. There’s so many vegetables in this dish you could skip the salad. But if you have as many veggies as I do in my fridge, you’ll probably want to have both. Bring water to a boil in a large pot. Add 1 teaspoon of salt (optional) and pasta. Cook 8-10 minutes, until tender but not mushy. Drain. Warm oil in a large saucepan. Add fennel, onions and pepper and sauté on medium heat until heated through and start to soften, about 5 minutes. Add eggplants and continue sautéing 5 minutes. Add tomatoes and heat through. Continue heating until eggplant is tender. Salt to taste. Mix hot vegetables with pasta and mozzarella. Stir until mozzarella is melted. Serve. Makes enough for about 8 servings.